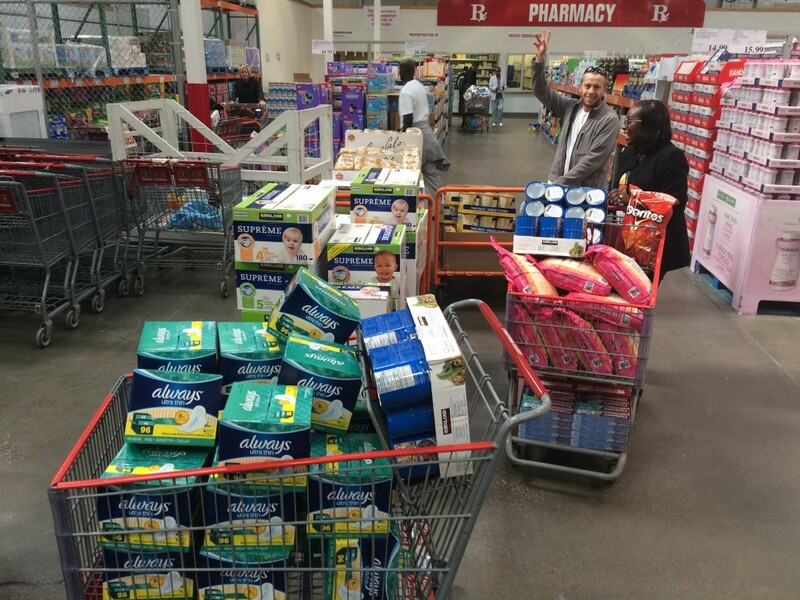 Our first donations in Canada are complete! 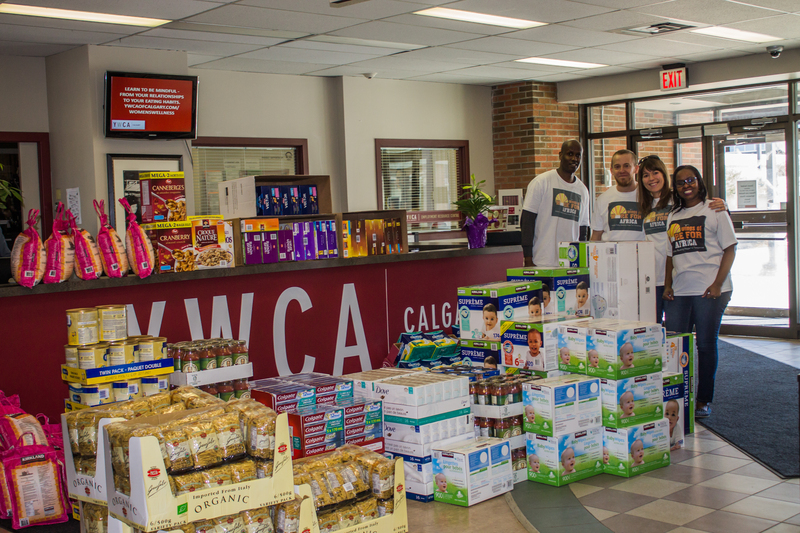 This Easter weekend, we purchased and donated $5000 of in-kind supplies to the YWCA Calgary. It was quite an undertaking, as you can see! 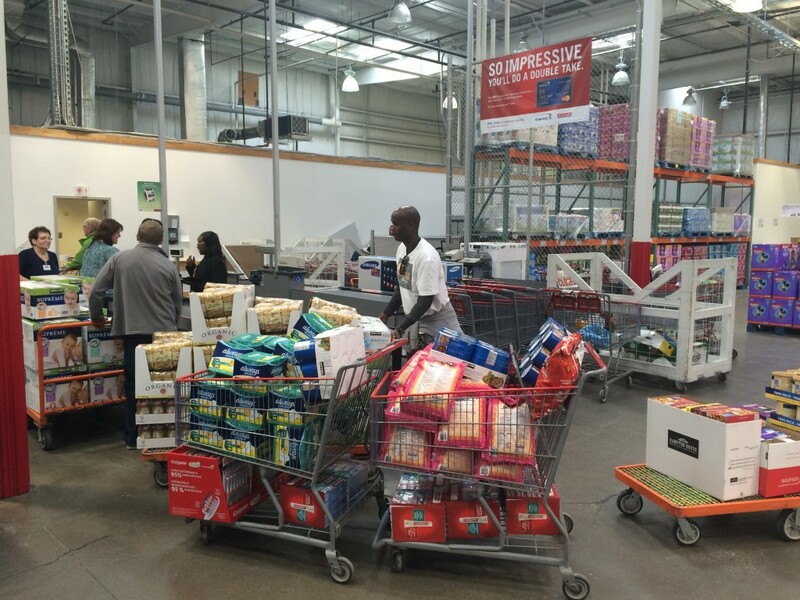 We purchased and delivered over 200lbs of rice, 100lbs of pasta, and many other essentials: cereal, canned food, pasta sauce, baby food, diapers, sanitary napkins, toothpaste and toothbrushes. 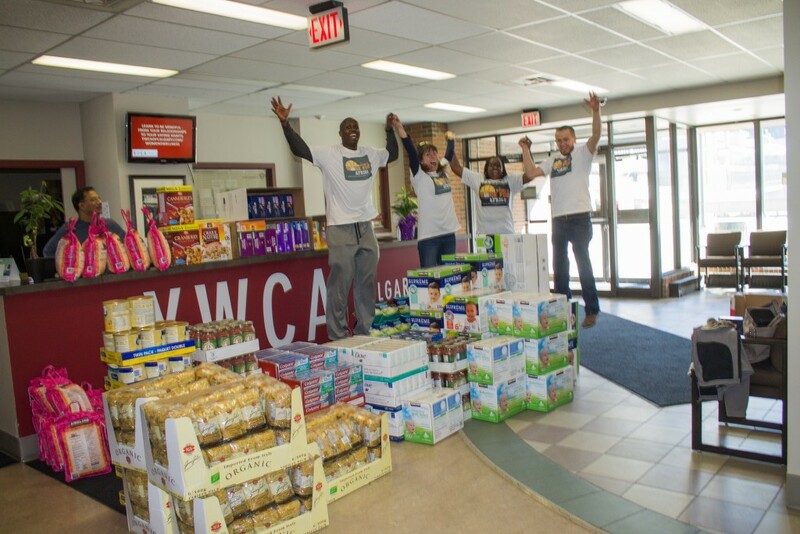 The supply shelves at the YWCA Calgary are now stocked. 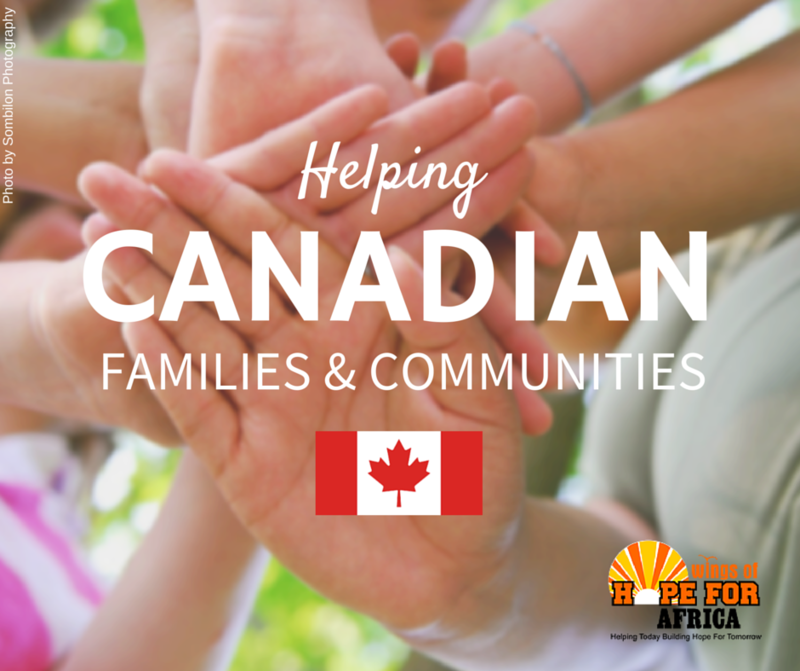 This was our a first project in our lineup of donations to help Canadian families and communities, and carries through with our mission of helping with basic needs of life, right here at home. 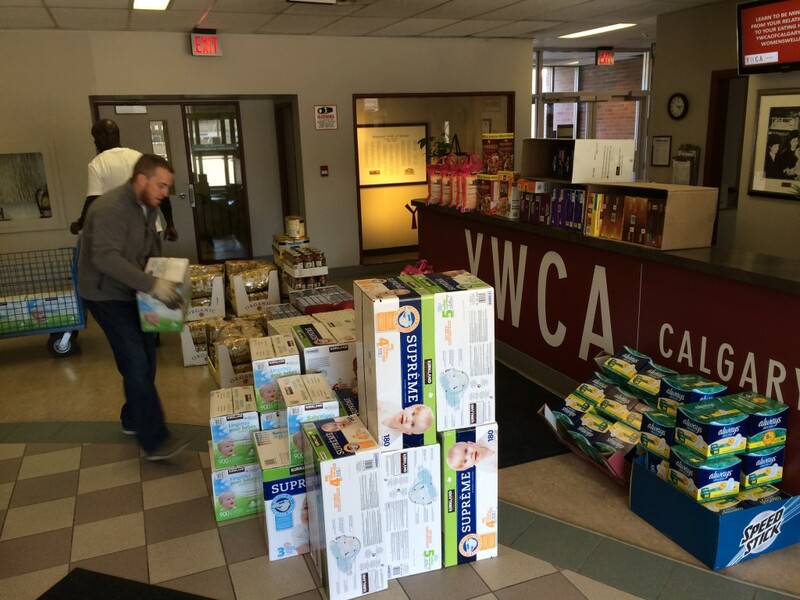 YWCA’s work is focused on women’s support services related to family violence prevention, homelessness, poverty reduction, exclusion, and community-based supports for children and families. We hope that this program brings support and hope to many more vulnerable individuals in Calgary and across Canada. We will be updating this site to update our supporters as we identify and establish connections with charity partners to help us carry out this project. Thank you to our volunteers who helped with this project. 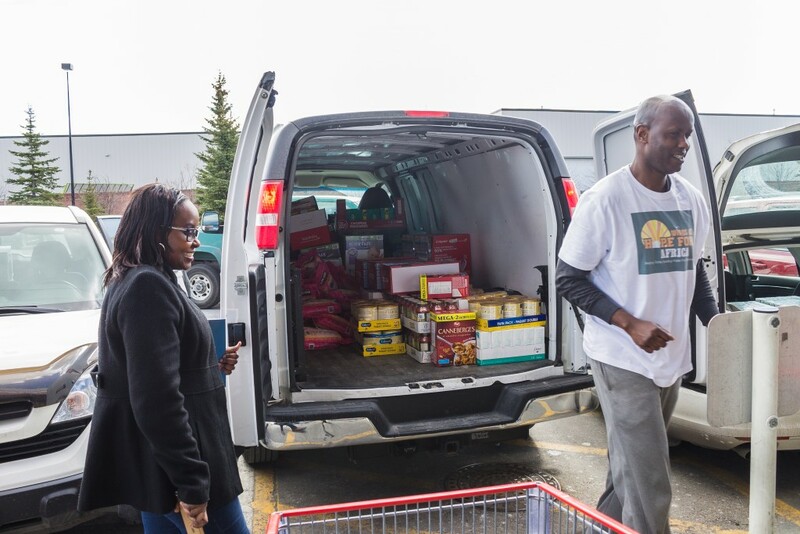 We look forward to more opportunities to help our local community in Calgary. 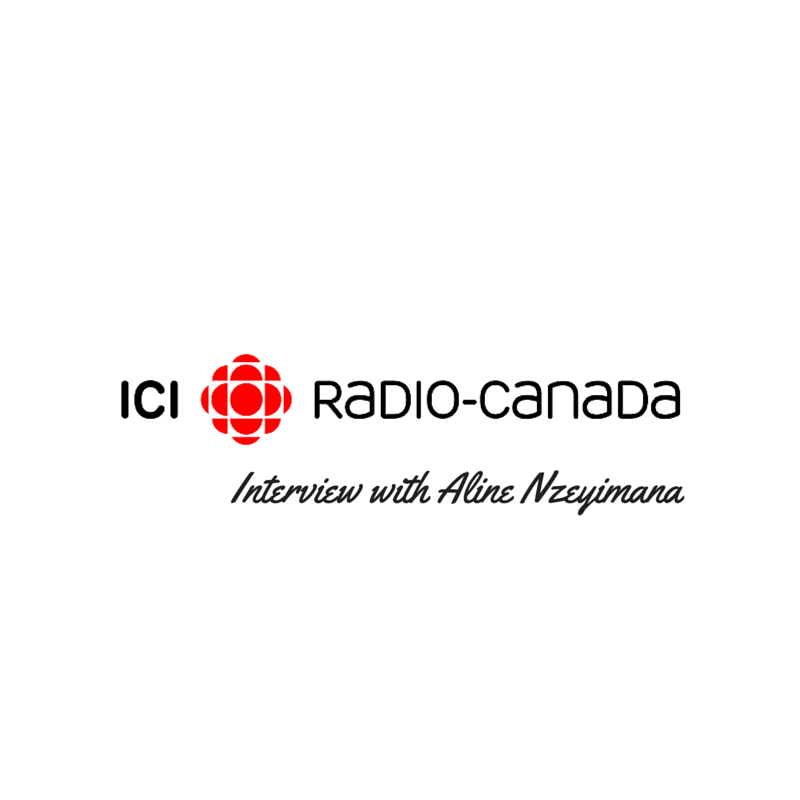 Next Next post: CBC Radio-Canada interview with Aline Nzeyimana, founder of Wings of Hope for Africa.